Unfortunately, working legally in Thailand requires companies to sponsor the Work Permit and Employment Visa of a foreign national. This process is particularly bureaucratic and complying with immigration and labor department requirements are costly investments. This obstacle is unfortunately not the only issue with hiring an expat, on a practical level (Especially with the language barrier) local companies could potentially fill any position with a qualified local Thai and avoid the legal compliance, training and corporate integration challenges. This makes job hunting a particularly frustrating process in Bangkok! Expats will tend to find it easier to join and integrate in companies with International Management. Therefore, it is always worth looking for career opportunities amongst the Expats with established careers and businesses in Bangkok. 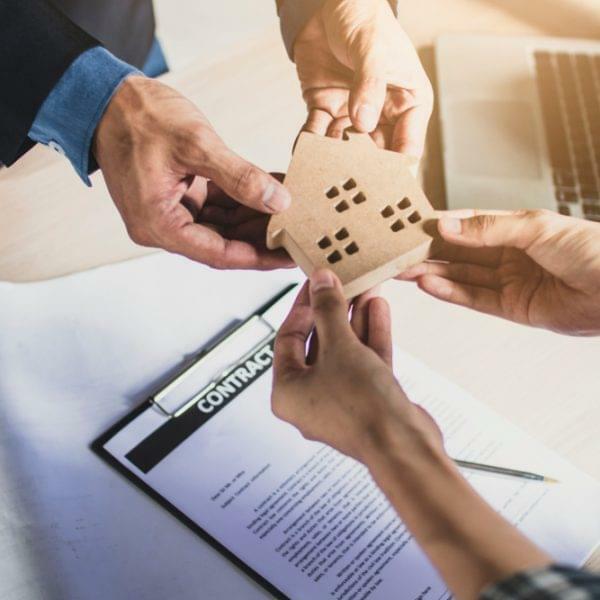 While on ground level, expats can often struggle to find legal employment this does not mean that jobs are not available and the key to success is knowing where to look. Before starting, it is important to note that the websites listed are definitely not exclusive to Bangkok’s job hunting scene. It might be tempting to dismiss them as cliché, however they do work and are probably the best options for finding expat-friendly companies online. While several employment websites are available locally, by far the most popular for expats is Jobs DB. The main draw of this portal is its international vibe, with most openings advertised in English. 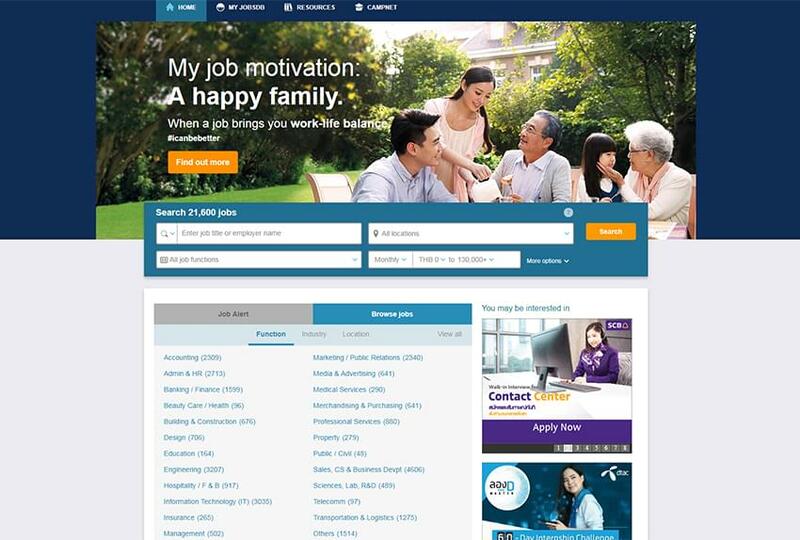 On top of this, Jobs DB offers a functional search interface that allows visitors to quickly review jobs available in different sectors and departments. It’s mainstream appeal and general popularity, means that most Companies that are willing and able to employ expats are advertising on the portal. 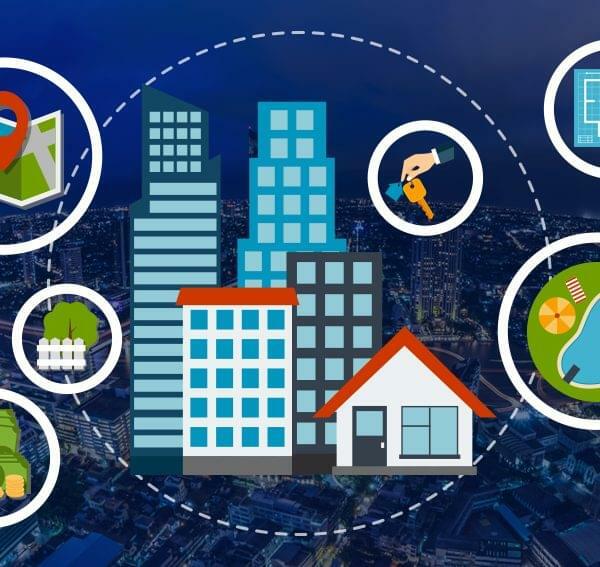 Bangkok’s expat community is extremely close knit and the different expat networks tend to actively “communicate, exchange and provide advice” on Facebook. 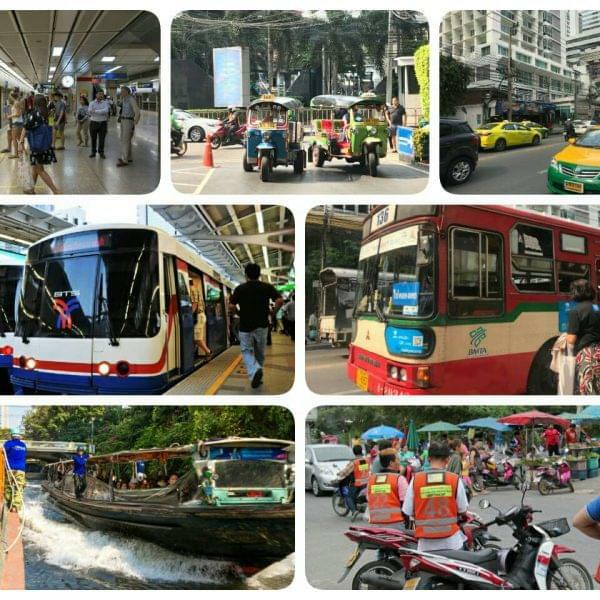 When using the website as a job searching tool in Bangkok, the best way forward is to join active Bangkok expat groups. When posting, it is important to only provide personal details such as CVs in private. 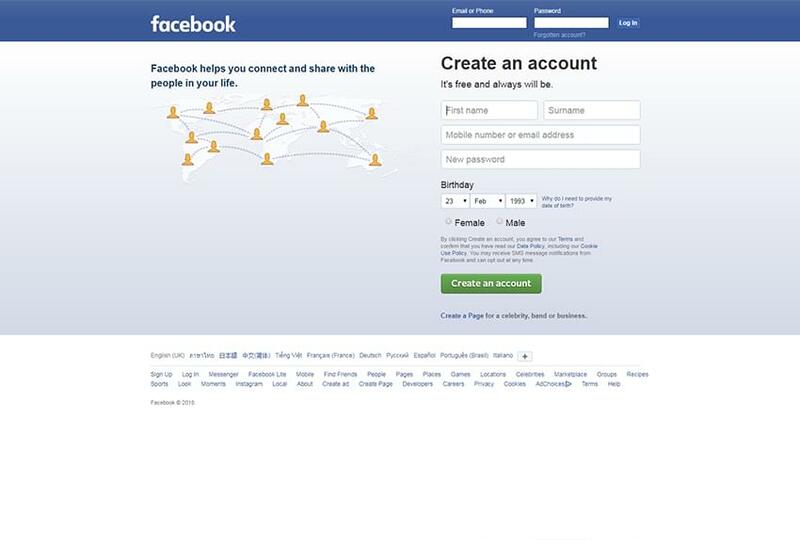 Be extremely careful of scammers or dubious connections you may come across in the Facebook Groups. While the website is not as popular or as recognized as in the States, it is still actively used by the Capital’s expat community. 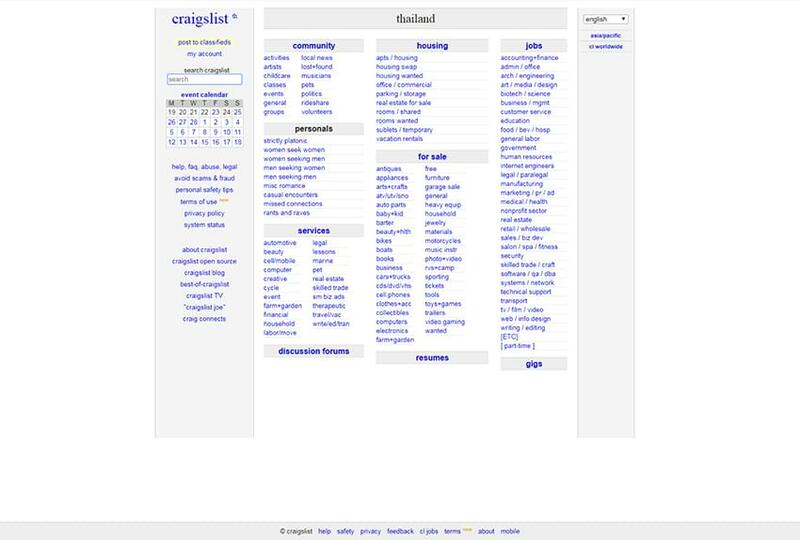 Interestingly, Craigslist tends to offer digital or web-based opportunities and is always a good starting point for individuals looking for jobs as web developers, programmers, graphic designers or online marketers. 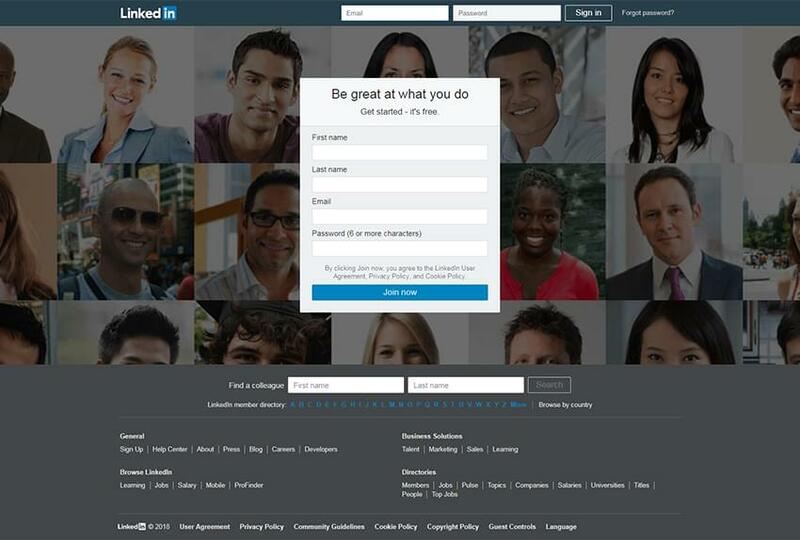 It is a good idea to create or maintain an updated and appealing LinkedIn Profile. Bangkok’s managing directors, senior management and HR managers are often extremely active on the website. The best way to approach job hunting on LinkedIn is to proactively message or simply call key people working in industries of interest. When pitching your profile via LinkedIn make sure you have relevant experience and a strong profile that will suit the individuals you are contacting. Also aim to stay extremely polite and professional (Bangkok’s business community is very tightly knit). Nothing beats good old fashion networking and Meetup is the easiest and most convenient way to find local events. While the website is a great way to meet new friends through lighthearted groups like Bangkok Runners and Bangkok Volunteers, on a professional level there are several ongoing Business Meetups. Also Bangkok offers a vibrant tech and startup scene; if this is your field of business, it is definitely worth checking out the Tech focused Meetups! From everyone at Fresh we would like to wish you good luck with your Jobs Search !! !